Since we now live in a time when new hair trends are ever-changing. Hair stylists no longer perform just a simple haircut, they create works of art. This is why it’s important to choose a salon that is going to work its magic on you. Here are just a few reasons Illusion Unlimited Salon is unique and perfect for you! 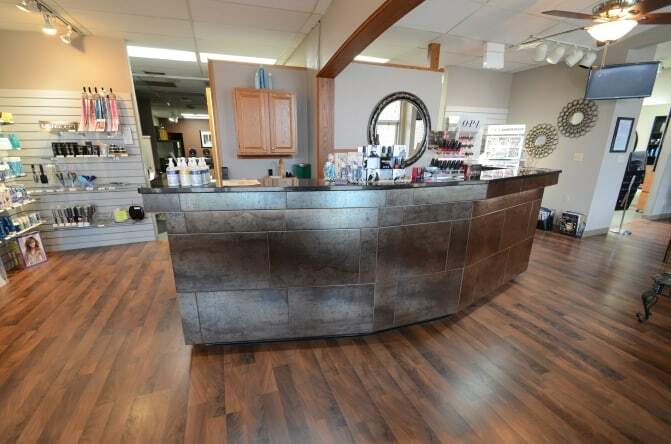 Illusion Unlimited Salon has been in the beauty industry for 51 years. Today, so many salons and stylists burst onto the scene with the promise of being the best. Unfortunately, those salons seem to fade away within a year’s time. This is why it’s important to pick a salon that has been around and stood the test of time. Illusion Unlimited Salon has been in the business for 51 years! We’ve seen it all through the years, and we continue to evolve and stay current. That’s something truly special and unique. We use special lighting. Your hair color may look perfect in the salon, but once you step outside into the sun it could look completely different. This is why we use special lighting in our salon. We bathe the salon with “daylight” lighting, which is like bringing the sunshine inside. This kind of lighting gives you the chance to see what your hair color actually looks like outside in the light. We feel this gives us the perfect opportunity to craft exceptional hair. Our color formulas are digitally weighed for accuracy. Instead of just using the traditional liquid measurements like most salons, we weigh our hair color for outstanding results. Liquid measurements can vary, which is why we weigh with accuracy to within 1/10 of a gram to ensure consistent, professional hair color results. We want the best for our clients. Unlike other salons, we guarantee excellent customer satisfaction. We keep extensive records which allow us to see exactly how we mixed your formula on your last visit to ensure you always get the custom look you desire. We want our clients to feel amazing when they leave our salon. We ensure this by always keeping our records up to date and current for optimal results each visit. These are just a few reasons you should try Illusion Unlimited Salon. We guarantee a salon experience unlike anything else you’ve ever seen. We use unique methods to achieve outstanding hair results. We stay up to date on all the ever-changing standards, methods, and styles in the industry. Contact us today to book your appointment and get that new look you’ve craving. Call today to make an appointment at one of our salons. We happily serve Ohio in the following three locations: Strongsville, Parma, and Broadview Heights. Call today and get ready to experience a truly unique salon journey with Illusion Unlimited Salon.